What makes The Prettiest Picture? Combine this exceptional arrangement with someone special and you'll see for yourself! 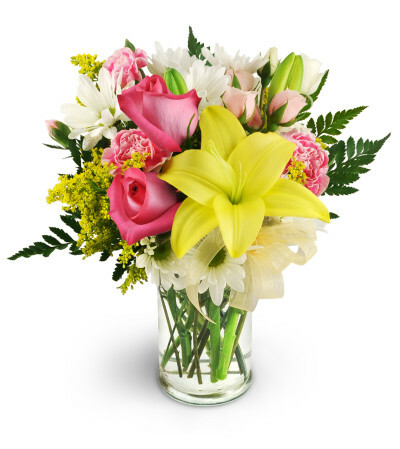 The Prettiest Picture is made from a stem of gorgeous Asiatic lilies, surrounded by pink spray roses, daisies, chrysanthemums and mini carnations. All that's missing is your special friend! 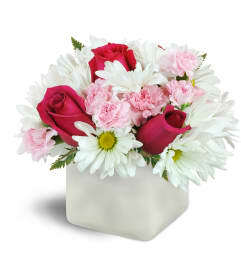 A delightful grouping of Asiatic lilies, pink spray roses, chrysanthemums, and mini carnations. Perfect arrangement for a wonderful birthday gift. Shop local! Don't just shop 1-800-(enter flower shop here!) You're helping a small business with every purchase. Prices may be a touch higher, but you get quality support and hands on attention! Worth every penny! I did price shop, and every other option would have been shipped to the residence, whereas these were hand delivered with a smile! Jones Florist is a Lovingly Florist in Lampasas. Buying local matters. Discover how Lovingly supports local florists. Copyrighted images herein are used with permission by Jones Florist.